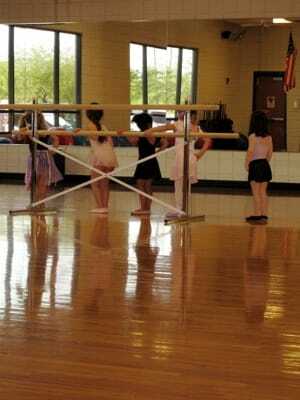 At her request, we have enrolled Andrea in a ballet class at the YMCA. If you’ve never seen a ballet class for four-year-old girls, you have missed out on one of the most adorable things on the planet. The joy and wonder in their eyes, coupled with the tiny tutus and uncoordinated movements is enough to melt a heart of ice, let me tell you.